More than 45 high school juniors from across the state attended the Tennessee Electric Cooperative Association’s annual Youth Leadership Summit March 13–15 in Nashville. Sen. Jim Tracy on Tuesday, March 14, greeted delegates attending the three-day leadership and government workshop. 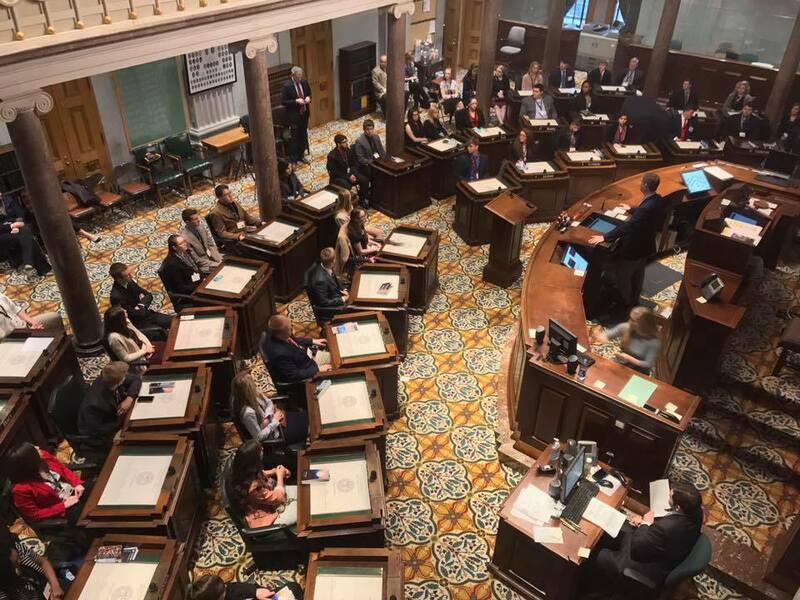 Tracy welcomed the young leaders to the Senate Chamber of the Tennessee State Capitol where Alan Whittington, assistant chief clerk of the Senate, explained the process required to pass legislation. Students had the opportunity to debate and vote on a mock bill. Reps. Mike Bell and John Ray Clemmons joined Sen. Tracy for a town hall meeting with attendees. The three discussed the legislative process and answered questions posed by summit attendees. Delegates then had the opportunity to listen in on debate in House and Senate committee meetings in Legislative Plaza. In addition to a hands-on look at state government, delegates to the event learned team-building and problem-solving skills and developed a better understanding of their local electric cooperatives.